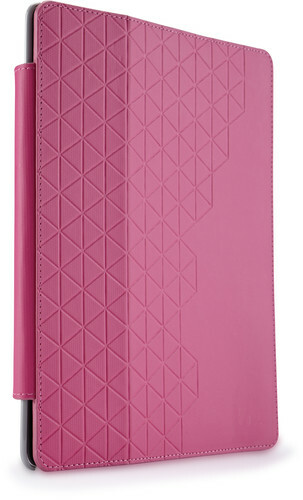 This ultra-fitted folio accessorizes your newest iPad with subtle elements of design and exciting colors. Whether you need to jot down a quick note or want to sit back and watch a movie, we cover every angle. Great protection and smart features! I received this case as a gift for Christmas, in blue, and I've really grown to like it. At first it seemed a little bulky and thick, but after using it for a couple of weeks, I find that the small bit of added width does a great job providing protection and functionality, without really being all that bulky or heavy. Pros: 1. The multiple stand angles (four, although only three really feel solid) are great. I haven't found any situation where one of the three cover "groove angles" didn't provide an excellent viewing angle or work surface. 2. The case material is surprisingly pleasant. It has a plastic-y, fake leather kind of texture that makes it really easy to hold, without any slipping. Because it seems to be plastic, it's really easy to clean. 3. 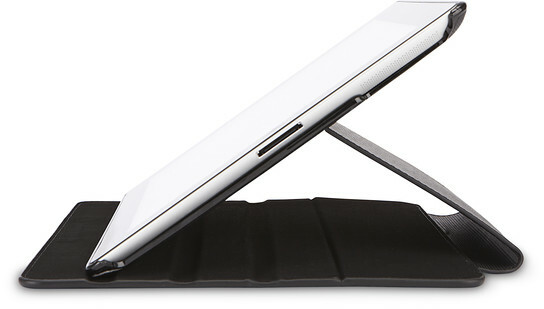 The case provides full protection of the iPad with just small portions of the top and bottom open, for port and microphone and headphone access. 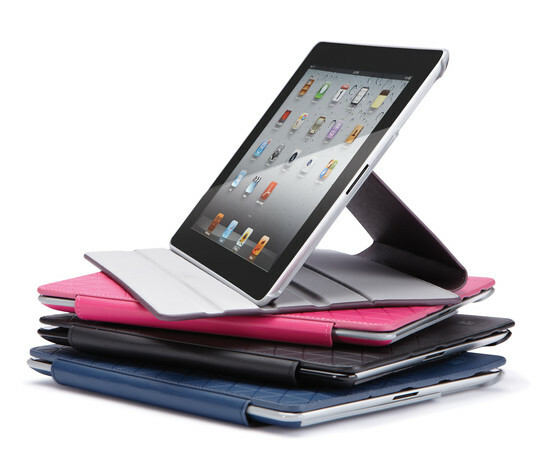 The iPad mounts in the case with a hard plastic bracket that fits the iPad extremely well and holds it perfectly. (Minor) Cons: 1. The magnets in the cover are very strong, to the point that shifting or moving the cover when its rolled around to the back of the tablet can turn off your iPad while it's in use. This doesn't happen very often and is easy to avoid just by being careful, but it can be startling to have your iPad just turn off while you're typing an email or browsing for something. 2. 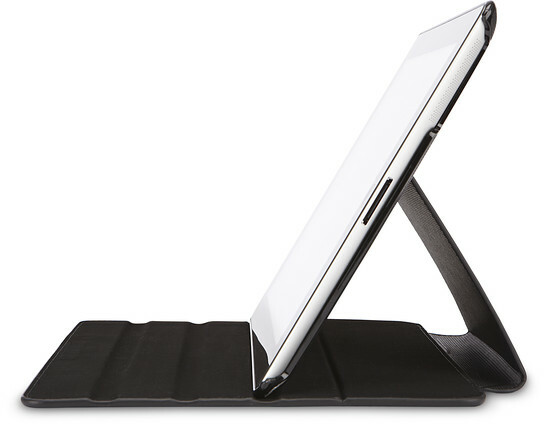 The design of the case uses a large strap to pivot the cover around the iPad, for either using it with the cover's built-in grooves or for folding it behind the iPad. It can be a little "floppy" if you're not used to it. 3. I really wish the cover would sit flat on the iPad. There is a seam about 1/3rd of the way "into" the cover that allows for an extra stand angle that has a very slight buckle when it's put over the iPad screen. It's very minor and doesn't seem to cause any issues with the smart power functions of the iPad, but it's one of those minor annoyances that I keep seeing when I'm not using the iPad. The bottom line is that I really like this case. The cons I've listed are all very minor and don't affect my overall satisfaction with it. If you're looking for something that provides good protection and thoughtful features, The Case Logic Folio is a great option, well worth checking out.